Always been my favorite combinations of all topping is sausage, peppers and mushrooms. I love olives too but can't seem to get everyone's buy in on those so I put them on my own piece! Of course you can add whatever you like. 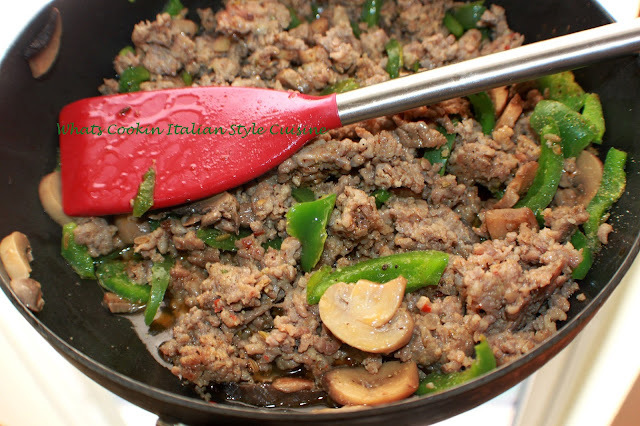 I just love the flavors when sauteed together with my secret ingredients below added to them. 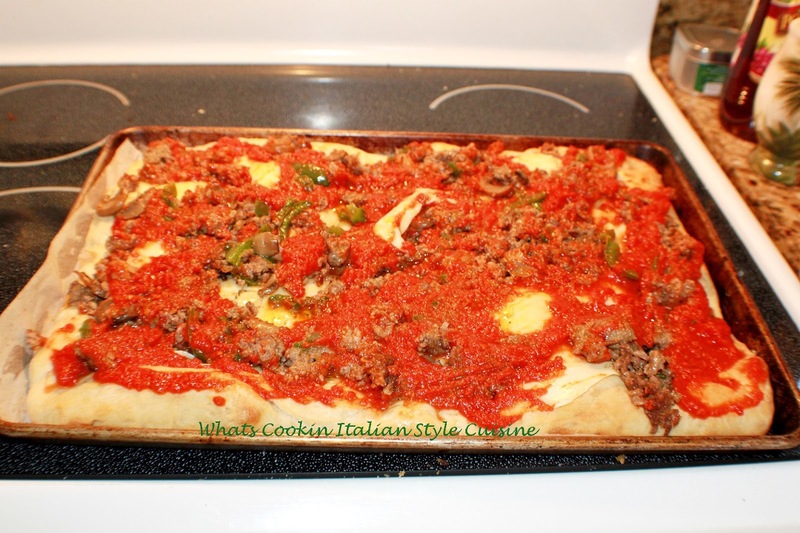 There are a few ingredients below in this pan that make the best flavors for this topping. Saute until all the pink is gone and wine is reduced to half. Drain set aside. 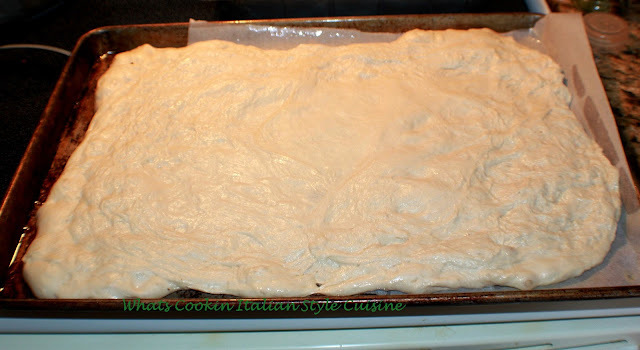 Stretch dough out on large sheet deep sided cookie sheet. Add the topping to the dough. Sprinkle with grated cheese then load it up with whole milk shredded mozzarella. 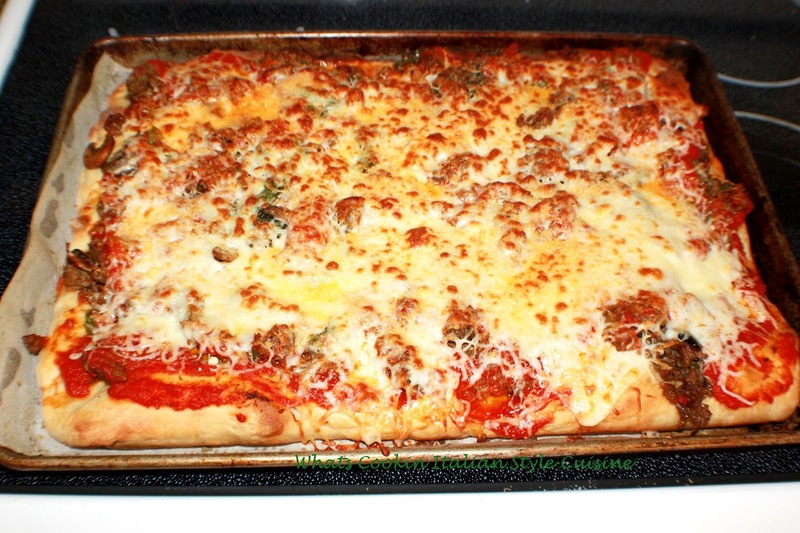 Bake in hot oven of 425 degrees until the top of the cheese starts to brown and the bottom is crispy.